Not too long ago John commented that, "it's not a photograph until it's a print." Just a couple days ago, Markus commented that he'd be interested to know how one of the shots from the "One Last Time" snow pictures post might work as a print. Since I also thought that was the most interesting of those pictures (which is unusual for me since it's done with a longer than normal lens: 45/1.8 Olympus on Lumix GX7) just now I decided to tweak it a bit for printing and see what happens. 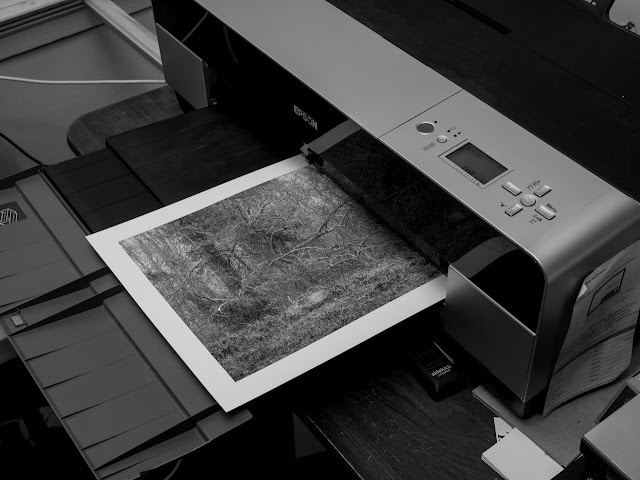 It's impossible, by definition, to show online what a print really looks like—as opposed to, you know, what it looks like online—but here are a couple shots of the process. On screen, ready to bring up the print dialog, and then the 9x12 print on an 11x14 sheet of Red River San Gabriel emerging from the Epson 3880. 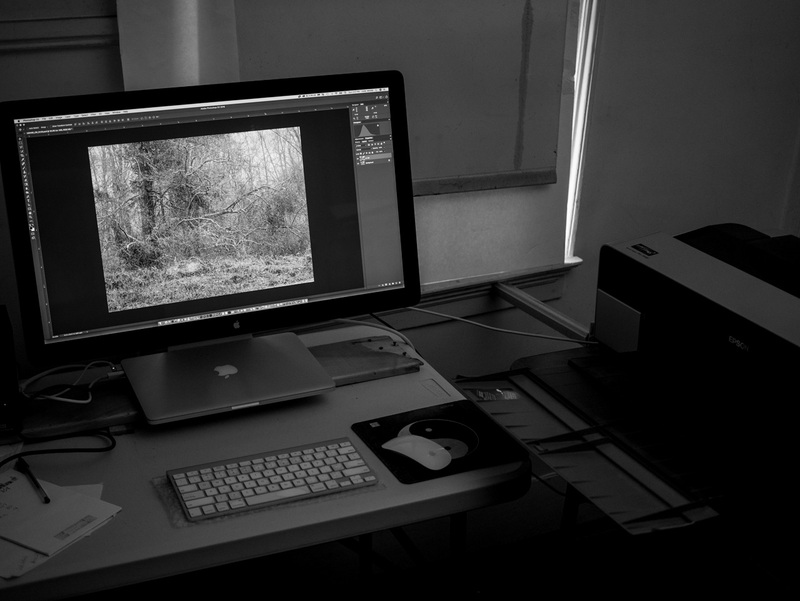 Printing under CMS with RR's supplied ICC profile, from a neutral ProPhoto RGB file. The translation to print works quite well, but I'm not happy with it for completely non-technical reasons. This scale doesn't work well for this picture. I think it might work much better as either a delicate little 6x9, or maybe as an expansive 15x20. Just to validate the discussion. don’t have an opinion abt size looking at print in environment but I like it.